Are you considering offering virtual training to your students but aren't sure what the student experience will be like? If so, then this infographic is for you. 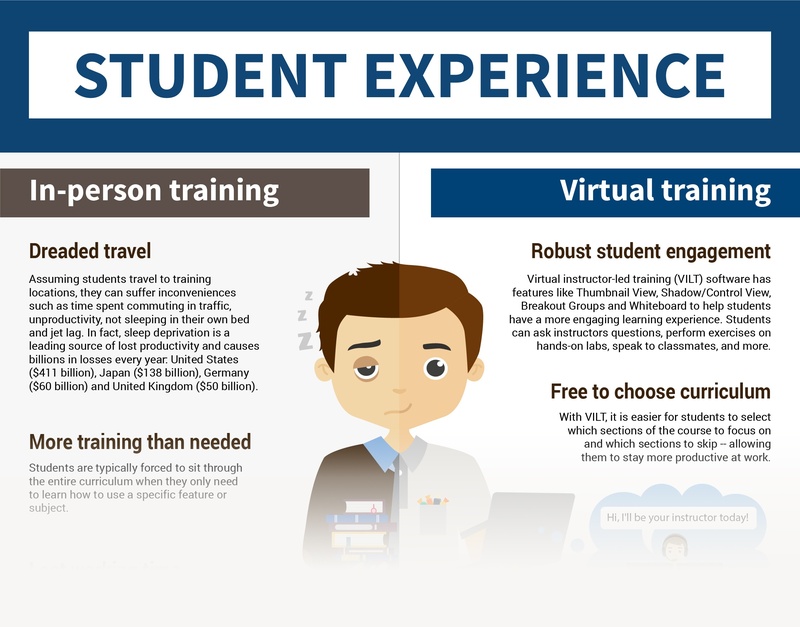 Download this infographic to get a comparison of in person training vs. online training from the student's perspective. You'll learn about the 5 reasons why students dread in-person training — and the 5 reasons why students prefer virtual training over of in-person training.